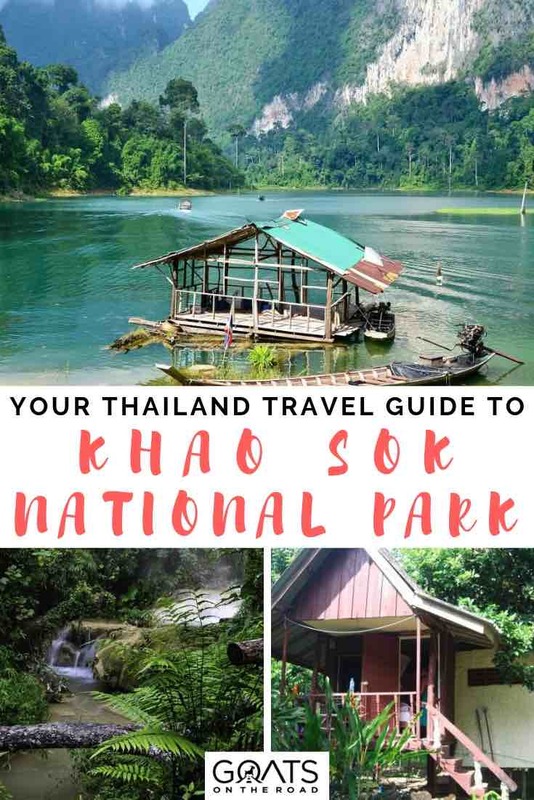 If you’re planning an epic trip through Thailand and are looking for something to do in between the coasts, Khao Sok National Park is the perfect choice. In between diving in Koh Tao and rock climbing in Krabi, take a few days to explore one of Thailand’s best national parks. This is one of the top places to visit in Thailand, and for good reason. With an abundance of hiking trails, tons of wildlife, and floating bungalows, this is a fantastic travel destination. Swap the hordes of tourists for elephants, gibbons, and wild boars. Stop for a few days at Khao Sok National Park and enjoy a trip full of adventures in nature. There are endless things to do in Thailand, with getting out in nature and spotting wildlife topping the list. 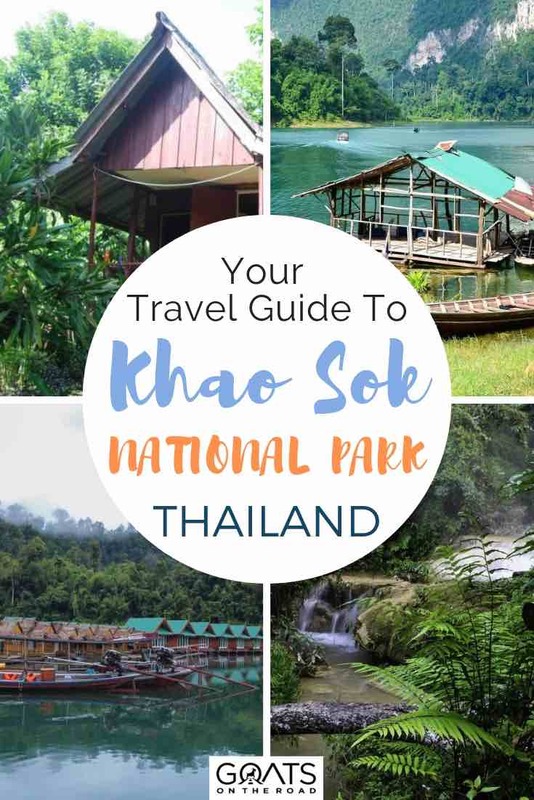 Plan your trip to Khao Sok National Park with the help of this guide. Read on for more information about getting to the park, where to stay, the best activities on offer, and much more. Khao Sok National Park is located in southern Thailand in Surat Thani province. This massive national park is 739 square kilometers, including the stunning Cheow Lan Lake. 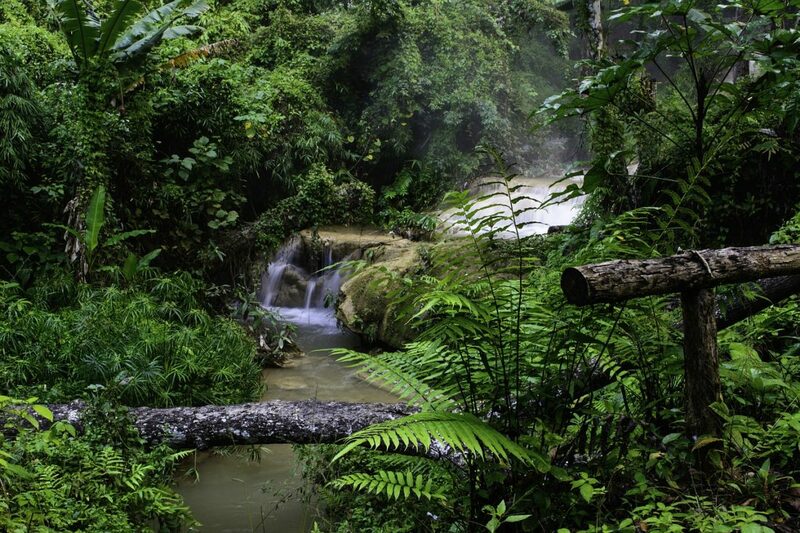 Dating back 160 million years, this is one of the oldest rainforests in the world. In addition to the lake, Khao Sok National Park is famed for its majestic karst mountain peaks. These were carved over the years by heavy monsoon rains coming from both coasts. Khao Sok National Park is also home to plenty of waterfalls and caves, which you can access via the park’s extensive trail system. Khao Sok was established as a national park in 1980. 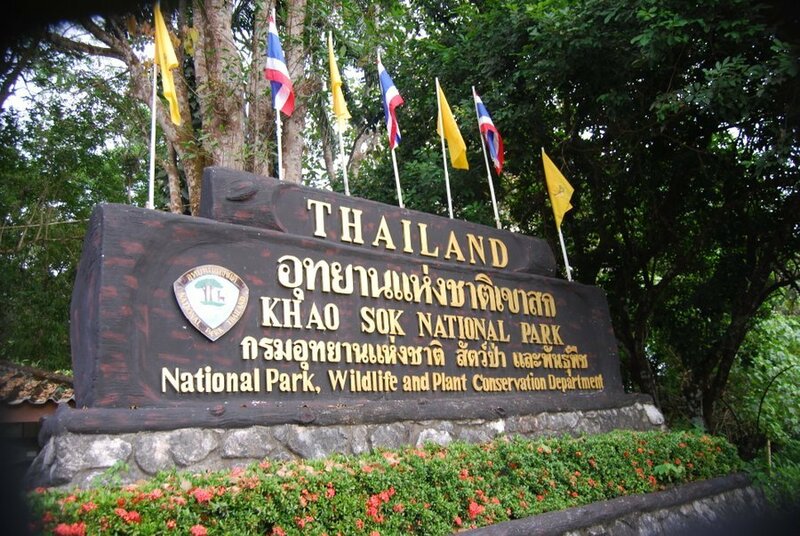 The park is actually in two different areas – Khlong Sok town and Cheow Lan Lake. It’s about 65 km between the two, so you’ll need to factor that in when planning your trip. Now that you know a bit about the Khao Sok National Park, let’s take a look at some of the best things to do here. With a few days in Khao Sok National Park, you can enjoy hiking, canoeing, wildlife spotting, rock climbing, tubing, swimming in waterfalls, exploring caves, and so much more. With a few days here, you can do a little bit of everything! 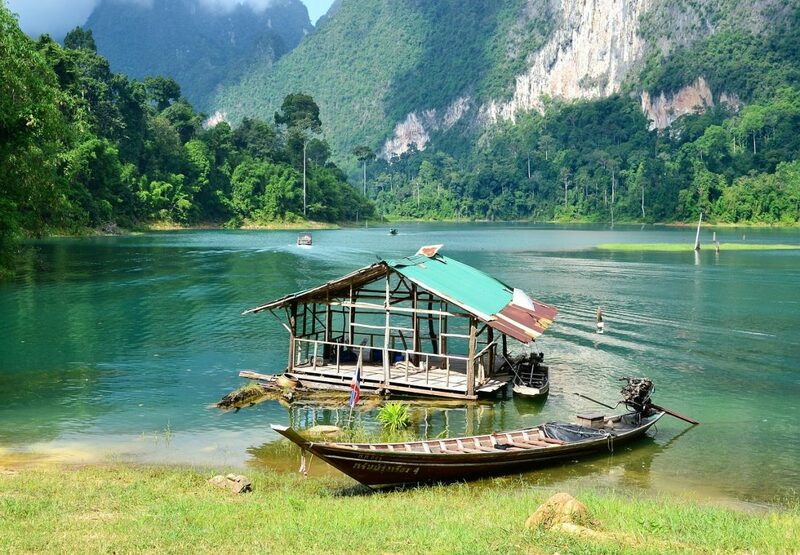 Independent travellers will be happy to hear that you can easily plan a DIY trip to Khao Sok. There are quite a few well-marked trails from the visitor’s centre that are easy enough to follow on your own. On the other hand, it’s not a bad idea to enlist the services of a guide. 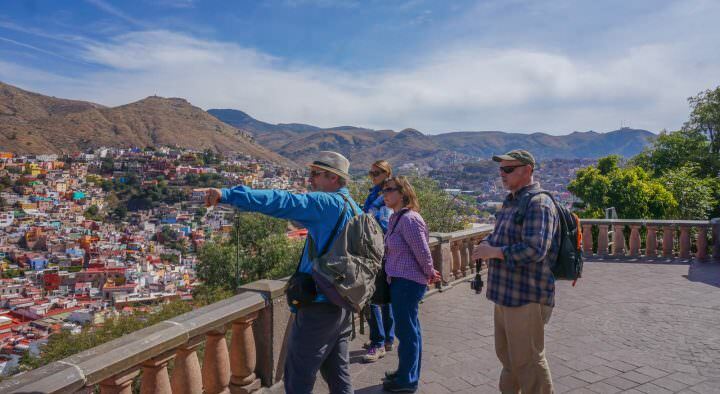 Not only will you be supporting the local community, but they’ll be able to point out interesting flora and fauna that you might miss if you go hiking by yourself. Plus, you’re actually not supposed to go more than 3 km into the park without the assistance of a guide. There are plenty of local guides that are ready and willing to take you into the jungle. Ask your accommodation for recommendations, or visit the main street in Khao Sok to find numerous guides selling tours. Trips range from 1/2 day up to 10 days of trekking and camping. For a very unique experience, you can sign up for a night safari. Your guide will take you on a 2-hour journey into the jungle, which really comes alive at night. With waterfalls, a river, and the lake, there are of course plenty of water-based activities as well. Some of the most popular things to do in Khao Sok National Park include canoeing or bamboo rafting down the river. If you’d prefer a more laid-back afternoon, you could just go tubing. Khao Sok National Park is an incredibly bio-diverse place full of unique flora and fauna. See if you can find the Rafflesia flower, which is one of the largest (and most smelly) in the world. The park is also home to around 50 mammal species, over 300 species of birds, and countless reptiles, amphibians, and insects. While exploring Khao Sok National Park, you might see Malaysian sun bears, swinging gibbons, barking deer, white-crowned hornbills, and monitor lizards, for starters. Channel your inner David Attenborough and shoot your own homemade “Planet Earth” videos here. There’s plenty to do around the town to keep you busy for your whole trip, but you’ll definitely want to carve out at least a day for visiting the lake. It’s easy to get signed up on a day trip there, or you can choose to stay a night or two in one of the amazing floating bungalows – a highly recommended experience. You’ll be surrounded by forest and mountains while enjoying your floating bungalow, which sits atop 40 meters of clear, fresh water. You can join tours which include a night’s stay in a floating bungalow, hiking, 3 meals, caving, and wildlife spotting. Again, ask around in town for prices and recommended companies, or check reviews on websites such as TripAdvisor. In addition to admiring the stunning karst mountains, you can enjoy some fishing, rock climbing, or even zip-lining through the trees. 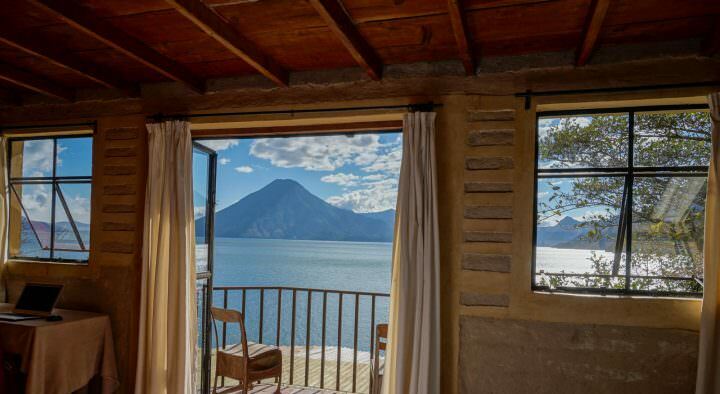 After an adrenaline-filled day of adventures, retreat to your bungalow on the lake and enjoy the beautiful views. If you’re travelling by air or riding the rails, the closest place to Khao Sok is Surat Thani. 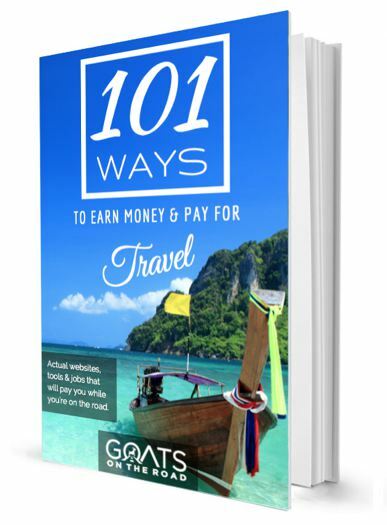 You can get flights or trains here from several places in Thailand. From Surat Thani, it’s about a 2-hour bus ride to the park. You can also catch a minibus from Krabi, Phuket or Khao Lak. Those who are stopping at Khao Sok in between the coasts will likely take a combination of ferries and buses. Just about every travel agent in popular areas like Koh Samui or Phuket can help arrange your transportation to and from the park. To make the most of your visit to Khao Sok, it’s best to stay at least a night or two. Thankfully, there are plenty of options for accommodation to suit all budgets and styles. 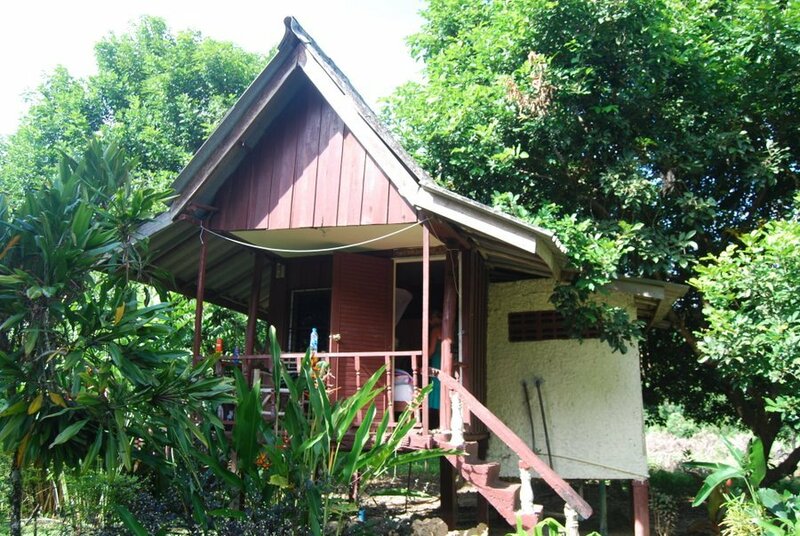 You can stay in the jungle, on the banks of the river, or even floating on the Cheow Larn Lake! The majority of accommodations are available near the visitor’s center, with prices to suit all budgets. Those who prefer being out in nature can try camping in the park. You can bring your own tent or rent one that’s already set up and ready to go. A step up from camping are the rustic cabins you can find at several locations. These are basically just a bed with a mosquito net, but at least you’ll have a place to lock your stuff and a bit more shelter from the elements. If you’ve got a little more cash to burn and prefer some comfort with your adventure, there are a few places with super nice bungalows, or tree houses. A few places out here even have swimming pools. Many travellers who visit Khao Sok come to stay in the famous floating bungalows on the lake. These vary in terms of amenities and price, so you should be able to find one that fits your needs. 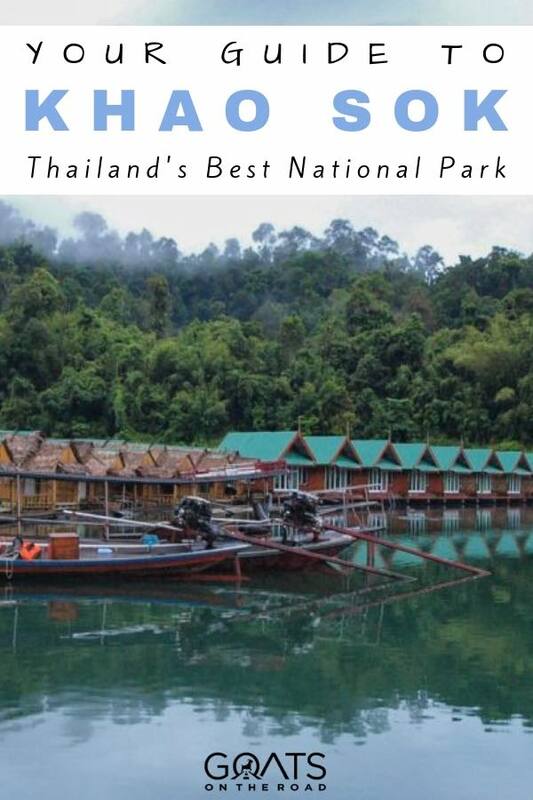 Click here to have a look at the available accommodations in Khao Sok National Park on Booking.com. You know that old saying “when it rains, it pours”? Well that’s certainly true here at Khao Sok National Park. The rainy season lasts all the way from late April until December. The most rainfall occurs between June and September. During the peak of the rainy season, the trails can get very slippery and difficult to navigate. 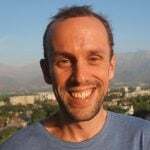 This is also peak leech season, with the pesky blood-sucking creatures coming out in full force. On the bright side, at least the waterfalls are really raging! With such a long rainy season, there’s a short window of pleasant weather between January and mid-April. While this is considered the “dry season,” there’s still a fair amount of rain. Just be prepared with a raincoat, some good hiking boots, and long sleeves to keep the leeches at bay. Even if you get rained on during your trip to Khao Sok, you should be glad. Without the constant rainfall throughout the year, this place would not exist as it is. When other parts of Thailand experience drought, it still rains in Khao Sok National Park. That allows the rainforest to sustain itself and the wildlife that calls it home. An entrance ticket to Khao Sok National Park for foreigners costs 300 Baht ($9.35). Students get a sweet discount, with tickets going for only $3 (100 Baht). Most tours will include the entrance ticket, so you’ll only need to buy one if you’re visiting independently. Speaking of tours, I highly recommend signing up for one. 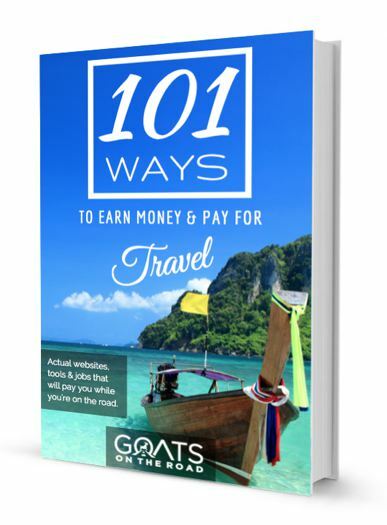 When we spent one month backpacking Thailand, we were all about doing things ourselves and sticking to a budget. We booked our own bus tickets, paid the entrance fee, and found a room in a basic jungle hut. It was easy enough following the trails from the visitor’s centre, but we had no idea what we were looking at along the way and saw very little wildlife. Worst of all, we didn’t even make it to the lake. In hindsight, I wish we had just shelled out the money for a solid 2-3 day tour that included a bit of trekking around the village as well as a night out on the lake in a floating bungalow. Learn from our mistakes and just sign up for a tour. When backpacking Thailand, sometimes it’s better to swallow your pride and just let someone else do the grunt work for you! Khao Sok is definitely a place where the benefits of a tour far outweigh the savings of doing it on your own. Even though we could have done it better, we still had a great time visiting Khao Sok, and I’m sure you will too. It’s a fascinating, beautiful place that you’ll just have to see to believe. With its stunning scenery, unique flora, and diverse population of wildlife, it’s definitely one of the top places to visit in Thailand.